Once forbidden by colonialists from cultivating coffee, indigenous people in southern India have won a prestigious award for their bean, which they farm while fighting deforestation. Araku Valley Coffee won gold in the Prix Epicures (Award) in Paris earlier this month. The beans are grown by Adivasis - or “original inhabitants” - of southern Andhra Pradesh state through a cooperative set up by the Naandi Foundation. 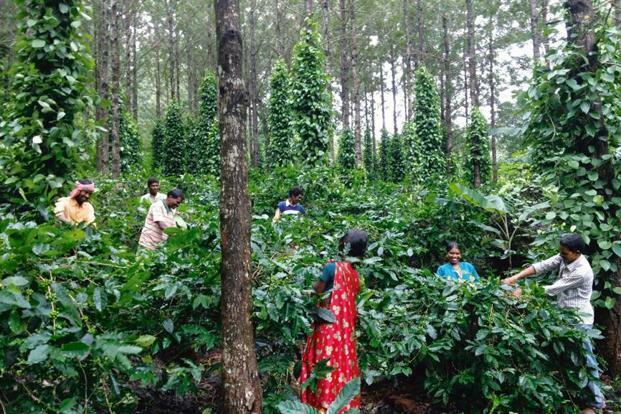 The organic farming model has benefited more than 45,000 Adivasi families, with profits from the high-grade coffee put into schools, healthcare and other needs of the remote community, according to Manoj Kumar, who founded Naandi. The initiative has been a success because it built on the strong connection that Adivasis have to the forest, he said. “They fully embraced the concept of biodynamic farming, because it is a holistic approach that benefits the eco-system, and is in tune with their traditional beliefs of caring for the community and the forest,” he said. “This is not just about food security; it is also about pride in living without government handouts, and conserving the forest,” he told the Thomson Reuters Foundation over the phone. The Adivasis are also countering deforestation by planting millions of mango, papaya and orange trees to provide shade for their coffee crops, as well as in other areas, with support from the Paris-based Global Livelihoods Funds. While India has pledged to keep a third of its total land area under forest and tree cover, a growing population and increasing demand for land for mining and other industrial activities are placing greater stress on forests. Activists say a new forest law favoring commercial plantations would undermine indigenous rights over forests and lead to more logging. Coffee estates thrived in the Araku valley’s cool climate during the British colonial period, but Adivasis were prevented from growing it and did not take up the crop after independence, according to Kumar. That changed after the Naandi Foundation began working in the region 18 years ago, first setting up schools and healthcare facilities, and then helping to organize a cooperative to farm and market coffee. Araku Valley Coffee soon commanded high prices in global auctions, and opened its first cafe and shop last year in Paris. But the real challenge for the Adivasis is not picking coffee beans the right shade of red or deciding on a marketing plan; they face a more existential threat as forests disappear, Kumar told the Thomson Reuters Foundation. “The Adivasis have such a deep spiritual connection with the land and the forest,” he said. Report (Article) by Rina Chandran @rinachandran. Editing by Jared Ferrie. Please credit the Thomson Reuters Foundation, the charitable arm of Thomson Reuters, that covers humanitarian news, women's rights, trafficking, property rights and climate change. Visit news.trust.org to see more stories.